Counting the days until you hit the Beach? Sip a Mai Tai, enjoy tropical music and shop for chic resort wear! 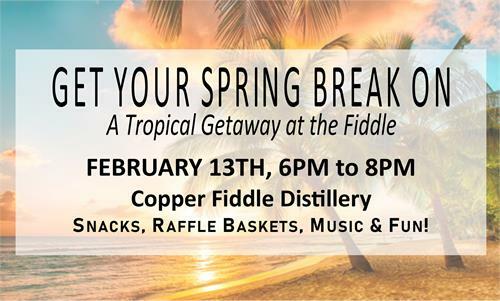 Enjoy 10% off Anuyu Boutique and Copper Fiddle beverages. Still need to plan your next beach vacation? Meet with our travel partners Royal Caribbean & Pleasant Holidays to plan your perfect trip! EVENT SAVINGS including shipboard credits, room upgrades, spa discounts, free breakfasts and more!